Automated Client Engagement. Instant Access to short code. How to get people to listen? Emails are not read anymore. Social Media is overwhelming and mostly used for personal communication. People rarely answer their phones if they don't recognize the phone number. However, everyone reads their Text Messages. Especially if they have requested to receive them. 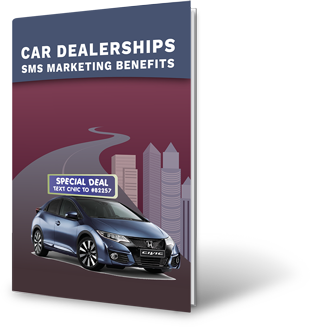 This is the reason why more and more car dealerships are looking towards SMS marketing and communication in order reach their clients where they are, on their mobile phones. Build your client list and loyalty - leverage existing marketing campaigns to promote your mobile keyword "Text HONDA to 82257 to join our list and receive valuable invites and special promotions"
Text-to-Win campaigns - up to 95% participation rates. The most popular campaign by far. High engagement and brand recognition. Sell more cars! - Advertise a texting keyword on every car on the lot. Then deploy ProTexting's Drip Campaigns to automate messages tailored to each potential client. Invite back with promotions and special deals. Service Promotions, Reminders and Recall Alerts - Build customers' loyalty by reminding them of service visits while increasing revenues. 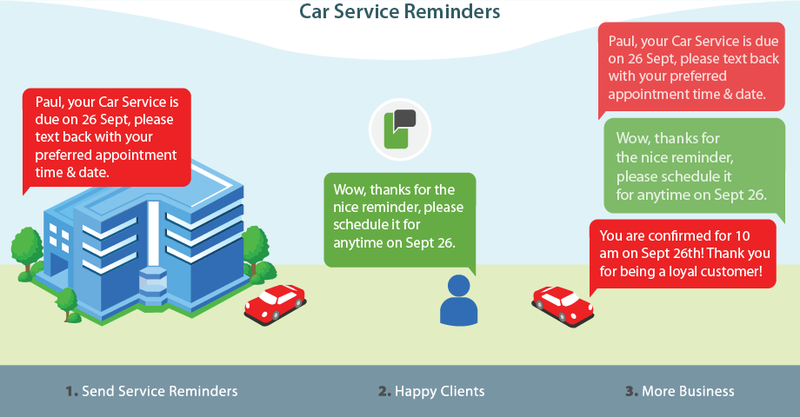 Your clients will appreciate you being the one alerting them to an open recall. Text to inform of any new cars and models in your inventory - Example "Come in to test drive the new Chevy..."